Music legend Prince died Thursday at the age of 57 at his Paisley Park residence. The news was confirmed by his publicist, though the cause of death has yet to be released. Stars quickly took to social media to express their grief and pay their respects to the Purple One, whose music inspired and thrilled so many. Read on for tributes and fond remembrances. RIP Prince. 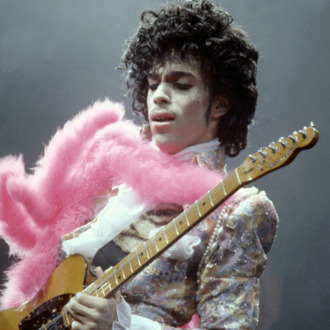 There's a lot of sad purple rain falling from our eyes today. I cannot believe Prince has died! A musical genius, the soundtrack to so many great dance party memories. My condolences to his family! R.I. P. #Prince. An exceptional talent! He made an enormous contribution to music. God Bless you Prince. There'll never be another like you. *An earlier version of this post misidentified Frank Ocean’s Tumblr as Kendrick Lamar’s.